It is no question that if you are looking for a Houston area printing company to print your banners and signs, that you definitely want a great one. Especially if you are printing signs and banners for business purposes, or even for personal use - like a party or event. At Same Day Banners Houston, we have taken all these factors into account when doing business and taking care of our clients. 1.) We offer top-notch customer service. Same Day Banners Houston takes a lot of pride in the fact that we really love to take care of our clients. Having a high volume of repeat business means we know how to make a customer feel great and treated fairly. 2.) We print banners and signs with the highest quality materials available. Because it is important that our customers are able to put their best feet forward with their signs and banners, Same Day Banners Houston makes sure that we use nothing but the highest quality vinyls, inks, grommets and more. Each sign and banner is made with precision and we have a precise process to proofing artwork so that we can ensure the banners and signs are going to please. In a pinch to get your banners and signs printed quickly? Same Day Banners Houston offers a same day turn-around on printers and banners. Get your banners artwork to us by 4:00 pm. and have your job ready by evening. Contact us also for same day service on decals and stickers, we do that too! Our staffs combined years of printing industry service exceeds 40 years, plus we all come from families of printers. We are seasoned professionals in printing and marketing and we know what works and what is going to be best for the client. We are the best printer in Houston for signs, banners and decals and service the Jersey Village, Champions Forest, Spring TX, Cypress TX, Tomball TX areas primarily but offer services to ALL of the Houston TX area. At Same Day Banners Houston, we have the BEST PRICES in Houston. Go ahead and shop around, you'll find that our prices just cannot be beat! 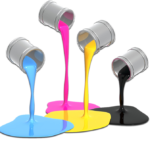 We run specials and offers and generally offer quantity discounts for those print jobs in higher volume. You will be pleased with our pricing and turn-around. Contact Same Day Banners Houston today for a free estimate or quote on your print job.